When traveling to Austin, don’t worry about boarding your pet or looking for a sitter. Recognized as one of the nation's most pet-friendly hotels, The Legendary Driskill welcomes you and your four-legged friends to experience true Texas hospitality. We encourage guests to be respectful of the environment by scooping your pet’s waste. We provide you with bags, made from recycled plastic and have poop scoops available for use. Please note the following pet policy. A $100 one-time non-refundable fee is charged for each "Pet Guest." The maximum pet weight allowed is 75 pounds. Domesticated dogs (non-aggressive) only. All pets must have received Bordotella and rabies vaccinations within the past 12 months. In addition, pet's name, weight, and breed must be provided for identification purposes during the reservation process. Pets may not be left alone in the guest room at any time. Please contact our Concierge (512-391-7013) in advance if you need assistance in scheduling pet sitting services. Please prevent your pet from barking or otherwise disturbing other guests. In the event that the Driskill Hotel incurs any loss of business or compensation is required for another guest due to noise complaints, those charges will be billed accordingly to your guest account. All dogs must be on a leash at all times while on the hotel premises. Please clean up after your pet. Complimentary waste pick-up bags will be provided for you in the guest room. Please contact Guest Reception should you need more bags. 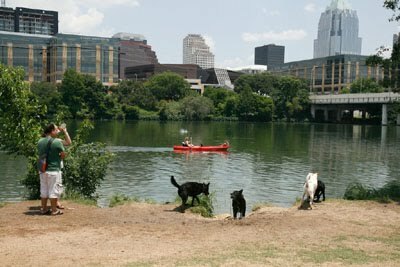 A Pet Map of downtown Austin will be provided for you. Please note the nearest park locations for your walking needs. Pets are not permitted in the hotel restaurants or other public areas, with the exception of arriving and departing through the main lobby. Although we welcome your pet, please respect our hospitality. Do not permit your pet to get on the bed coverings or the furniture. If additional cleaning is needed for bedding, carpeting or furniture, or if any damages are incurred due to your pet, all related charges will be billed to your credit card on file with the front desk.